Huawei has confirmed that the Honor 10 has already sold out in Europe. The latest device from Huawei’s sub-brand was only officially revealed yesterday but now, just one day later, the Chinese giant has confirmed that the new smartphone has officially sold out across Europe. The number three smartphone manufacturer failed to confirm exactly how many units it managed to sell within the first 24 hours of sales, although it did note that over 80,000 customers chose to take advantage of a €30 discount coupon, suggesting official numbers may surpass the 100,000 mark. In any case, regarding which countries proved to be the most interested in the smartphone, the Honor 10 was completely gone in just six hours over in Spain, while the Phantom Blue variant of the smartphone took under a day to sell out in France. Nevertheless, the popularity of the device isn’t necessarily surprising. 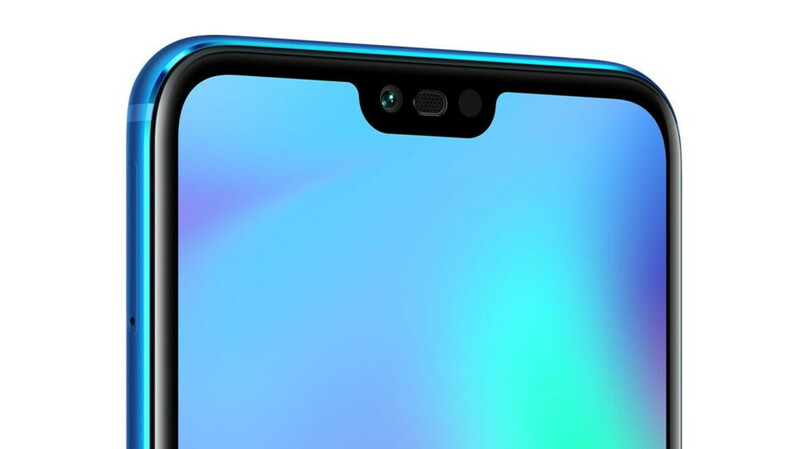 After all, the Honor 10 costs just €399, or $470, and offers a very impressive spec sheet that is pretty similar to that of the Huawei P20. Specifically, the same octa-core Kirin 970 processor is present on the inside alongside 4GB of RAM. Unlike the P20, though, the Honor 10 is also offered in a 6GB of RAM variant. Furthermore, options of 64GB and 128GB of storage are available to consumers. Over in the camera department, however, there are some significant differences. These include a main 16-megapixel sensor coupled with a secondary 24-megapixel monochrome lens. Over in the selfie department, though, the Huawei P20’s 24-megapixel camera makes a return. Huawei hasn't officially confirmed any official sales goals for Honor-branded devices, but one of the main objectives certainly appears to be to slow down the growth of other low-cost manufacturers such as Xiaomi. And, if the launch day results are anything to go by, Huawei’s strategy certainly appears to be paying off. And those overpriced flagships still sell more, and are not afraid to say how many they sold. The whole reason these expensive flagship phones sell out is due to companies that subsidize the devices. No subsidize, no hight sales. Ppl whom get these affordable phones usually pay the full price right away. Why not get the Ferrari if can pay affordable monthly payments. "And those overpriced flagships still sell more, and are not afraid to say how many they sold" OEM's rarely state how many phones they sell until it comes to the end of a financial quarter or they hit a certain sales milestone. Most of the time when we hear numbers they are usually from statistic tracking firms. And those overpriced flagships arn't all bought by the phone buying public, company's buy large batches to distribute to thier employees. Actually, very mediocre cameras. Even the regular P20 destroys it when it comes to the image quality, especially in low light. That's the biggest disappointment about the Honor 10. Honor did two things wrong: - just 4GB of RAm, 6GB version is not available in Europe - camera with no OIS and downgraded sensors (megapixel count has nothing to do with quality) takes worse pictures than regular P20, especially in low light. The 6 GB RAM versions are available in Europe. A Dutch reseller named Belsimpel has those versions of the Honor. belsimpel.nl/honor-view-10/blauw They are priced for € 499. Another reseller Gsmweb offers the Honor 10 with 6 GB ram for €372 if you buy it in combination with a T-Mobile 2-yearly subscription. I think phonearena sweethareat company (Apple)is going to be in trouble if this continues. What do you store on your phone that you would need 256gb? No offense meant but since I started using Google Photos I've barely been able to use 30gb on my 64gb phones. Notched out !!! This is how people hate the notch in EU !! This is the first hauwei phone that I want to buy, that gorgeous tacky green color is the color of my soul!, loves it. How many did they sell? . IMO, OIS in camera is very important which honor 10 doesn't have.